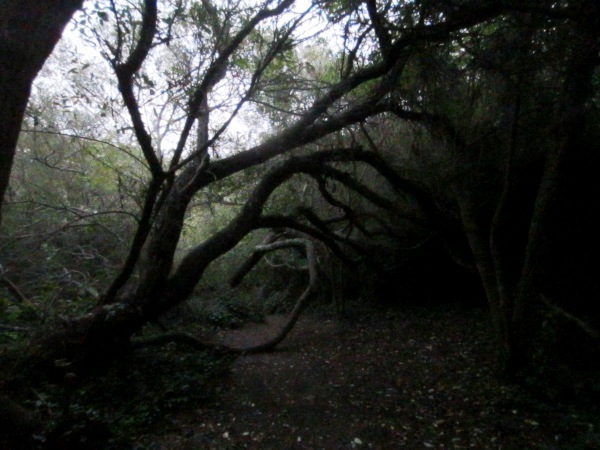 If you love the secret, twisty mysterious Outback Trail that runs along the west side of the creek in Glen Canyon, this would be a good time to see it. 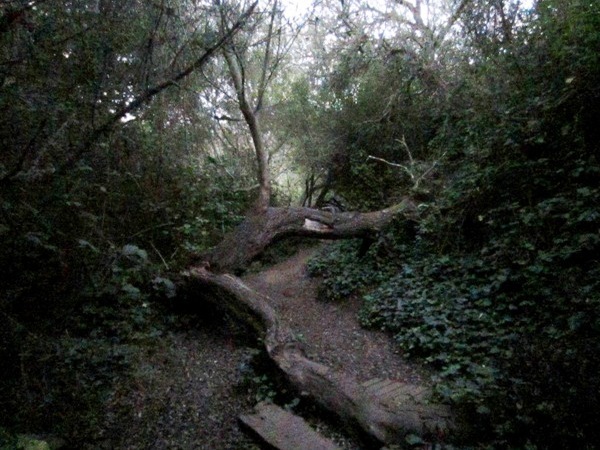 The San Francisco Recreation and Parks Department is just about to start improving it, to make it the lower end of the “Creeks to Peaks” trail that will go up to Twin Peaks. 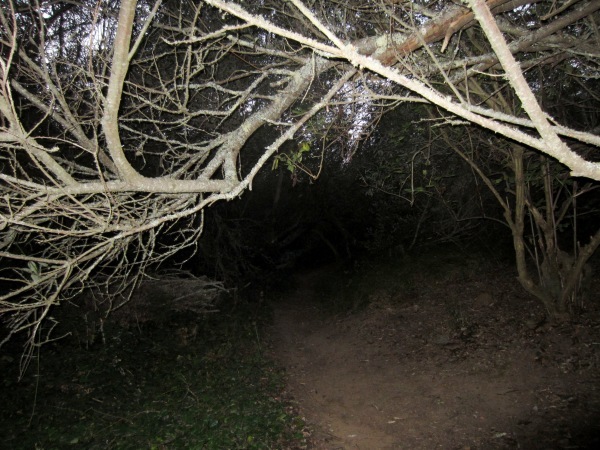 It’s going to be a lot less adventurous experience – more like the existing trail on the other side of the creek. A lot of the branches that have to be climbed over or ducked under will be gone. We think it’s a bit like widening and paving a narrow country road to make a 2-lane highway; it’ll be easier to use but a lot less charming. Some 32 trees will be removed, including many of the twisty willows. 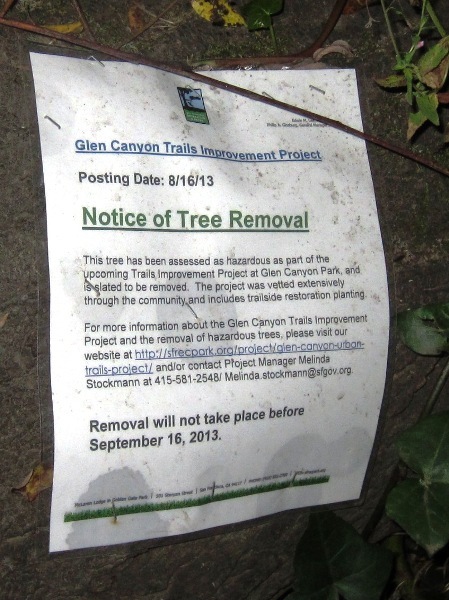 The trail will be regraded and compacted. A bridge across the creek, with concrete pylons, and railings. We went by there at dusk recently. A lot of undergrowth has been cleared since we first visited it perhaps three years ago, making it much more exposed than before. Nevertheless, it was magical. 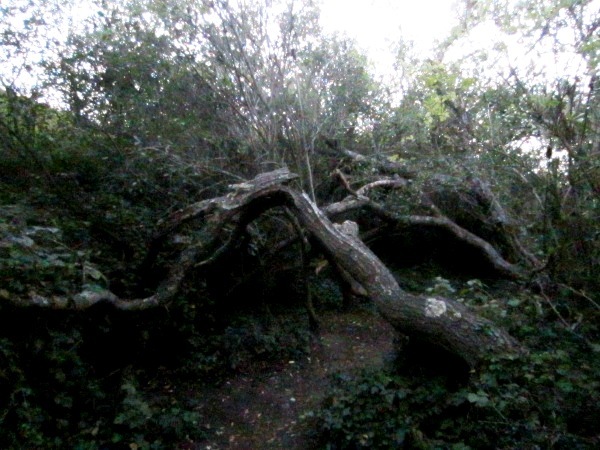 Trees arched right over the trail, which wound beside the creek. 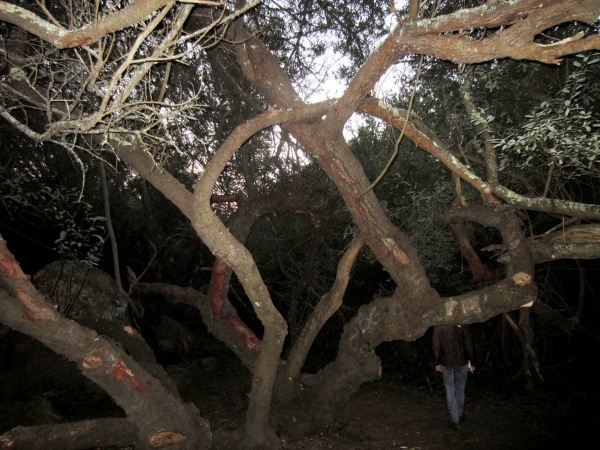 In some places, they looked almost like a maze. 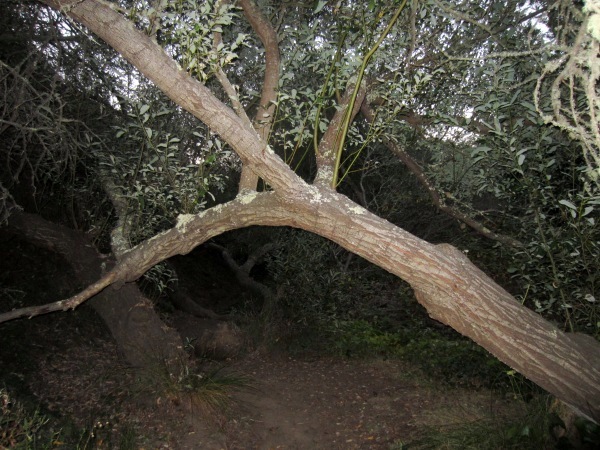 This is the Darlene Tree; someone inscribed the name of their beloved on it. This one’s called the Whomping Willow (Harry Potter fans will get the reference!). Sadly, it may be under threat of removal. 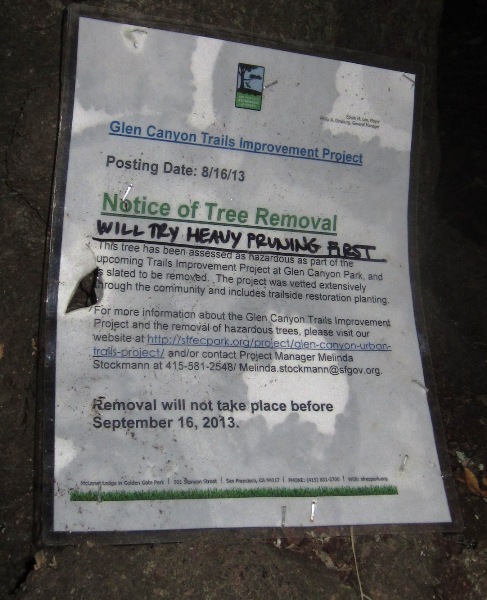 SFRPD will try “heavy pruning” first. That probably means most of the trunks and branches will be gone even if some of the tree is left. This is the Rainbow Tree, and it’s being removed. 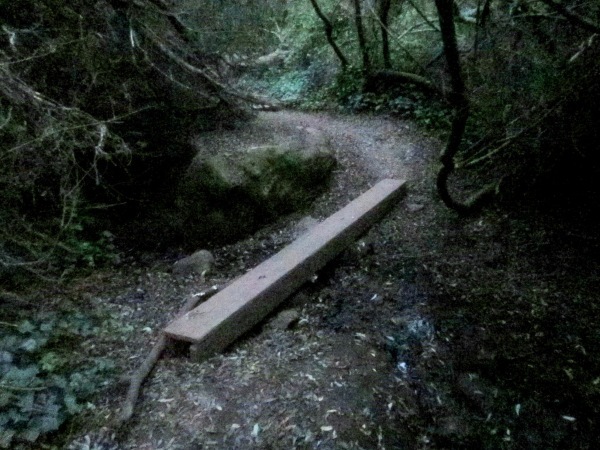 This is the beam crossing the creek. It’s going to be replaced with a bridge with concrete pylons and a boardwalk. This entry was posted in Felling Trees. Bookmark the permalink.